Markets have pared some of their recent gains as risk sentiment softened in the US trading session. US Equity markets approached key resistance levels and pulled back as news broke that President Trump had walked out of a meeting with leading Democrats to resolve the Government shutdown. The impasse came as they failed to agree on southern border security funding. The lack of information on US-China trade talks sapped some of the hope for a resolution to the trade war between the two countries and added to the reasons to take profit after four days of gains. This sentiment continued into the Asian session, with gold back to 1295.00 as traders seek safety. ECB Monetary Policy Meeting Accounts will be released in the afternoon today followed by US Unemployment claims that are expected to come in around 226K against 231K previously. Fed Chair Powell is expected to speak later this evening and FOMC Members Bullard and Evans will also make public addresses at separate events. The NZDUSD chart show how the pair has retraced higher after the selloff last week. The candle associated with the selloff has created a large Doji at the bottom of the recent trading range which has encouraged buyers to step into the market. Price has found resistance at 0.6808 and is leaning on support at 0.6766 just above its 4 hour moving averages. 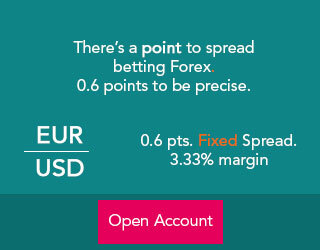 A continued move higher may push price up to test recent resistance around 0.6879/0.6900. Above this area the 0.6968 level comes into play followed by 0.7000. Support on the chart takes the form of the moving averages with the 200 period at 0.6759, the 100 period at 0.6750, which is also the level of the now broken resistance trend line, and the 50 period at 0.6739. Combined with the trend line this area might interest traders once the market decides on the next direction to take. A move lower targets the top of the Doji candle and the 0.6700/0.6697 area. Below this area the falling support trend line is in place at 0.6580 ahead of the 0.6559 level as the Doji candle bottom. Another FX pair that may be impacted by FED and FOMC speakers today is USDJPY. The pair has pulled back from resistance at its trend line over the past 24 hours and is trading around support at 107.800. A loss of this area may see price dip towards 107.000 followed by 106.732 as risk sentiment weakens. The selloff in Yen during a period of low liquidity last week muddles the technical picture on the chart but the 106.000 level may offer traders some support. Below this level 105.000 is followed by last week’s low around 104.780. The trend line resistance is being strengthened by the 50 period moving average around 109.000. A break higher may find resistance at 109.454 followed by the 100 period moving average around 109.950 and the 110.000 level. The 200 period moving average has just moved under 111.441 and is currently positioned at 111.000. A break higher through this area might look for tests on higher levels such as 112.500 and 113.000 followed by the recent high at 113.670.